SWOOOP puts you in control of a colorful biplane that soars above a magical island. 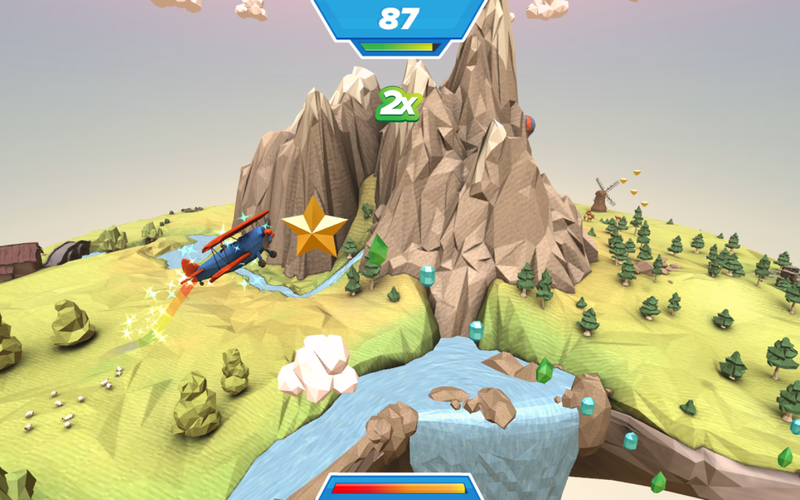 Pick up as many gems, scoring as many points as you can before your fuel runs out. 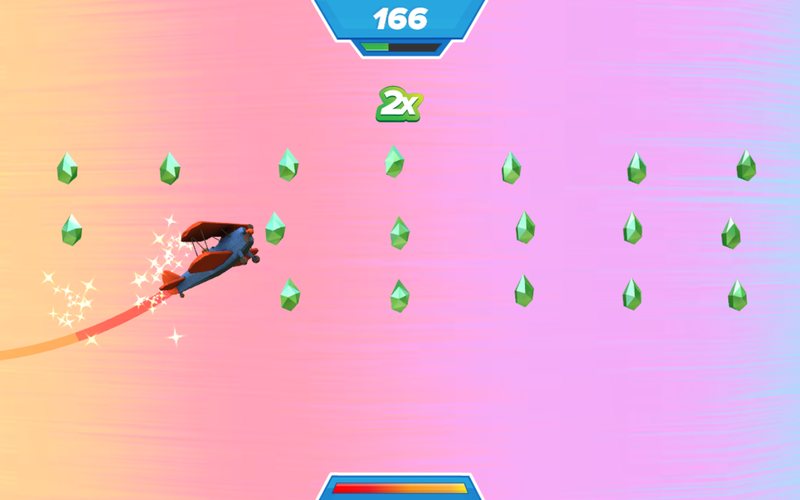 And get ready for SWOOOP's dazzling bonus mode! Controls in the game are simple. Space bar, left mouse click or a touch (on touch-enabled devices) will raise your biplane's nose upwards. Release and the plane's nose will turn downwards. How easy is that?! 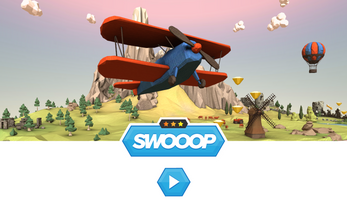 But to score big points in SWOOOP takes serious skill. What's your high score?